I was a world-class babysitter. I was booked weeks in advance, months ahead for big occasions. There were bidding wars for New Year’s Eve. I kept a spreadsheet of clients with detailed notes. I was a pro and suspect this fact will figure largely in any Barbara Corcoran-style profile of me. My clients wooed me, leaving various treats “to help pass the time.” One of my favorite clients wooed and won – for life. One babysitting eve, I casually reviewed their fridge and noticed little footed cups of chocolate pudding. I figured they wouldn’t mind my trying one. It was chocolate pudding with crushed graham crackers sprinkled on the bottom and top. This combo was a revelation to me. 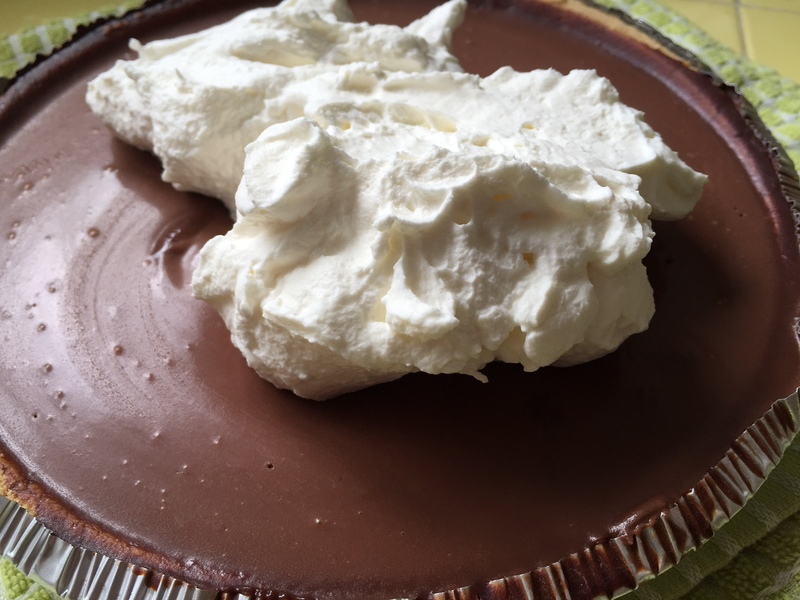 (Chocolate pie in my house was rare and was the black bottom variety made with a traditional pie crust.) I succumbed like Alfred Molina in Chocolat, awaking from my chocolate stupor to find I’d eaten all but one of the puddings. I carefully washed the cups (and my face) and didn’t look my employer in the eye when it was time to drive me home. My fourteen-year-old self expected I’d lost a client. A couple of weeks later, they booked me again. After I’d put the kids to bed, I checked the fridge (cautiously this time). They’d left eight cups of pudding treats on a shelf with a note “For Caroline.” My allegiance to them – and to chocolate pudding and graham crackers – was sealed. 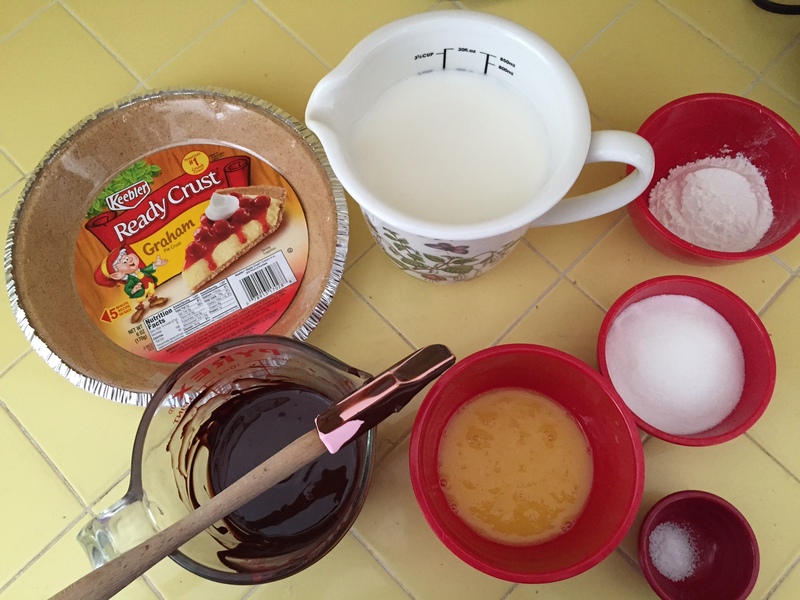 Full disclosure – I make my pudding the way my grandmother showed me, not from a written recipe. So to ensure total foolproof ease here, the recipe below is adapted from Epicurious (Gourmet, 2004). The pudding always thickens, the pie always sets. And it tastes just as good as Grandma’s. And so, I give you, Purloined Pudding Chocolate Pie, so named for those I stole and for the fact that this will disappear before your eyes. Note: You must plan ahead. This pie takes several hours of cooling and setting time. For same day serving, start early in the morning. In a heavy 3-quart saucepan, whisk together sugar, cornstarch, salt, and yolks until well combined (the mixture will quickly become like paste, keep going until you’ve incorporated all the cornstarch). Add the milk in a steady stream, whisking constantly until mixture is smooth. Bring to a boil over moderate heat, stirring constantly, then reduce heat and simmer, stirring, about one minute. The filling will be beautifully thickened. Force filling through a fine-mesh sieve into a bowl, then whisk in melted chocolates, butter, vanilla, and Kahlua if using. 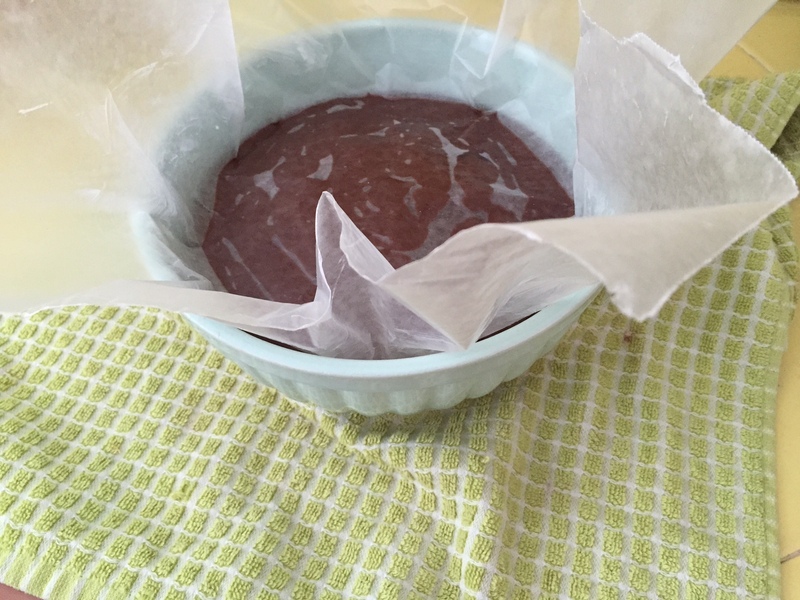 Let cool for about 15 minutes, then cover surface with buttered wax paper and cool completely, then refrigerate for about 2 hours. Spoon filling into crust and chill pie, loosely covered, at least 6 hours. At this point the pie can be stored, covered loosely with plastic wrap, overnight. 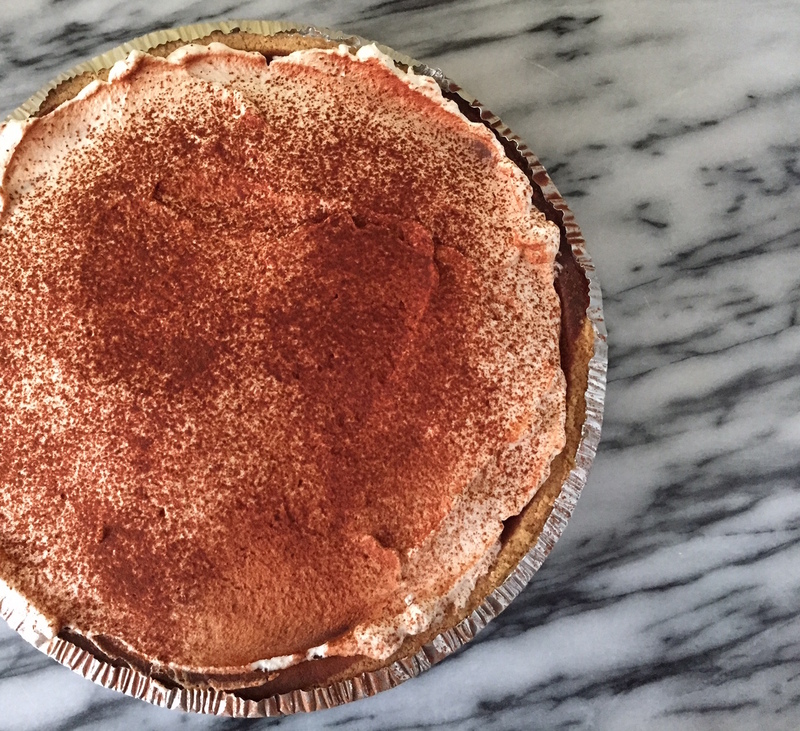 When ready to serve, top pie with sweetened whipped cream and sprinkle with cocoa. Serve immediately. 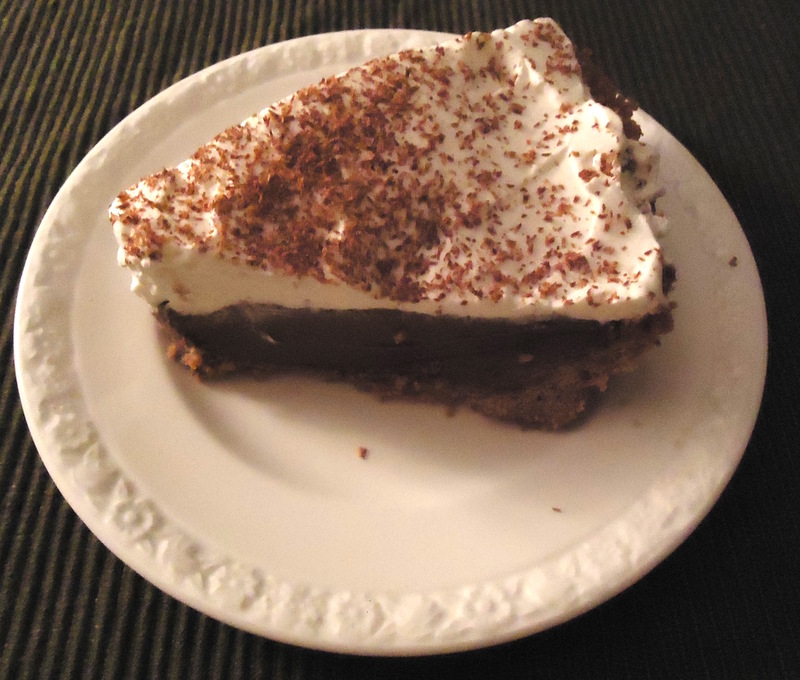 This entry was posted in Recipes and tagged chocolate pie, graham cracker crust, pudding by Caroline Siemers. Bookmark the permalink.